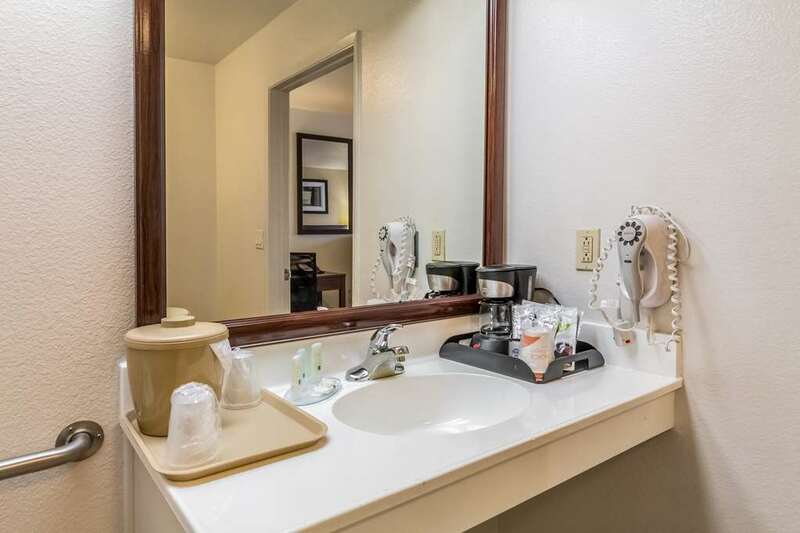 The Quality Inn Fresno Near University hotel in Fresno, CA gives you real value with peace of mind. Were near Fresno State University, Fresno Yosemite International Airport, Yosemite National Park, Kings Canyon, Sequoia National Park and Discovery Center. Relax and focus on the people and experiences you came for with amenities that include free hot breakfast, free coffee, copy and fax machine. Each inviting guest room features a coffee maker, hair dryer, Q Bed with a premium mattress and bedding, iron and ironing board. Select rooms offer a microwave and refrigerator. Also, earn rewards including free nights and gift cards with our Choice Privileges Rewards program.